When it comes to Tokyo food trends, four years is almost a lifetime. 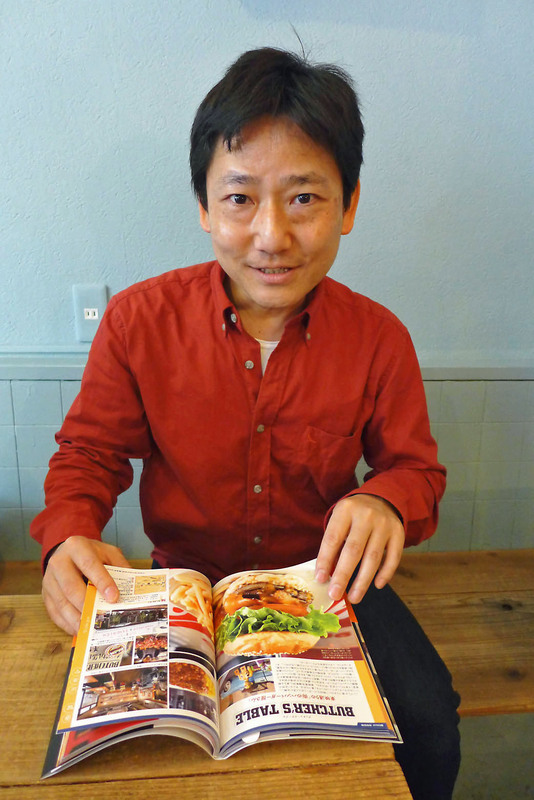 Back in 2010, when Yoshihide Matsubara wrote “The Burger Map,” the definitive guide to burgers in the capital area, hamburgers were still generating a fair amount of buzz. Then came pancakes and then, in an unlikely 180-degree twist, came “Napolitan” spaghetti. 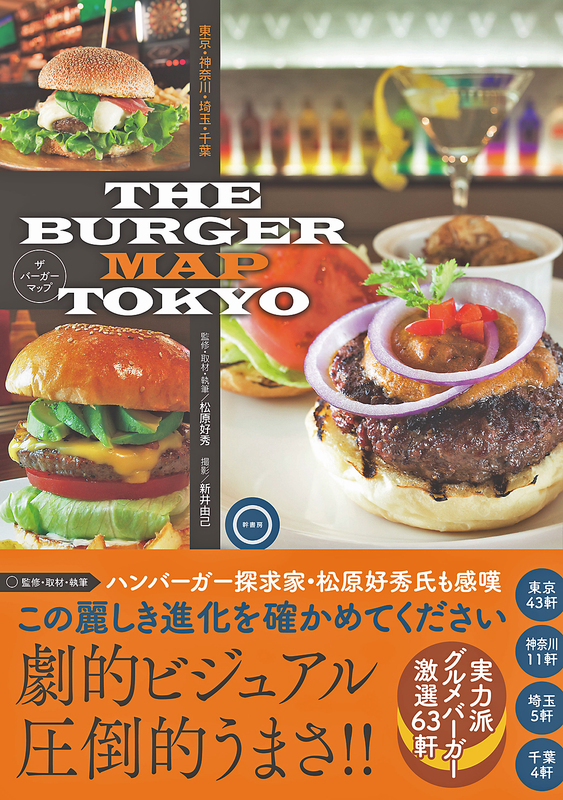 Still, Tokyo’s resident hamburger expert feels there is a lot to get excited about — enough to warrant a new edition, “The Burger Map Tokyo,” published last month. “The restaurants that had been around three or four years when I wrote the first book have now been in business seven or eight years, some of them for 10 years. The level of quality is really high now,” says Matsubara. Which is to say the wheat has been separated from the chaff: The good places are here to stay; the ones that were just chasing a trend have faded away. “The Burger Map Tokyo” took him seven months from research to completion — including days where he had to eat three or four hamburgers in a single afternoon. “There were times when I felt there was no way I could eat another hamburger. 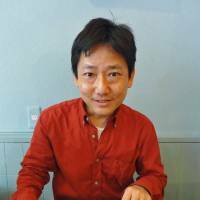 But then I’d start to think about how good the next place was going to be and I’d get all excited again,” says Matsubara, who also regularly updates his blog, Hamburger Street (www.hamburger.jp), with new reviews. Two of his favorite places are Martiniburger (31 Nakazato-cho, Shinjuku-ku, Tokyo; 03-6280-8920; www.martini-burger.com), run by New Yorker Eliot Bergman, and Antenna America (5-4 Yoshidamachi, Naka-ku, Yokohama; 045-315-5228; www.antenna-america.com), a craft-beer showroom that just happens to serve hamburgers as well. The latter is “really hot” these days, he says. According to Matsubara, this overlap of burgers and craft beer is the latest thing. The newest outpost of Burger Mania (4-9-5 Ebisu, Shibuya-ku, Tokyo; 03-6277-4221; www.burger-mania.com) is a perfect example: a fashionable hipster joint with a rotating selection of craft beer on tap. “Hamburgers are still considered a treat in Japan,” Matsubara says by way of explaining why Tokyo burger shops tend to be pricey and styled to the last detail. All in all, “The Burger Map Tokyo” includes 63 shops — over 30 of them new — in Tokyo, Kanagawa, Saitama and Chiba. With full-color photos throughout it reads like a catalog of all that is weird and wonderful about Tokyo’s hamburger scene: the cherry and cream cheese burger (a Burger Mania specialty), one topped with broccoli (at Rainbow Kitchen or Authentic) but also one topped with melted blue cheese and onion rings (at I-Kousya). A clever sidebar for each entry lists all the burger’s stats, such as toppings and patty size — which actually varies wildly. If you’re craving an American-style burger with a big fat patty, the ones at Martini Burger weigh in at 200 grams. On the other hand, Island Burgers (3-1 Yotsuya, Shinjuku-ku, Tokyo; 03-5315-4190) is the place to experience a quintessentially Japanese hamburger, says Matsubara. Its house specialty is a narrow, teetering tower of toppings — including a diminutive 120-gram patty, fried egg and a sole onion ring — all held in place with a plastic palm-tree pick. 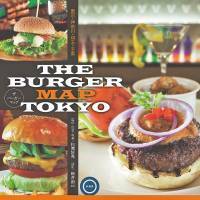 “The Burger Map Tokyo” is out now, priced ¥1,300 (plus tax). Weekdays 11:30 a.m.-10 p.m. (L.O. ); Weekend, hol. 11 a.m.-10 p.m.